Whether you love the genre or not, you can't deny that steampunk has become a major fixture of our culture and has started influencing everyday entertainment. --- From written works to fashion, artwork to technology, film to conventions, the appeal for a sci-fi era gone by has captivated crowds in ways too numerous to list or do proper justice in such a short intro. But the wave of fictional-era designs has caught on across the nation, and inspired many here in Utah to create works based around the genre. 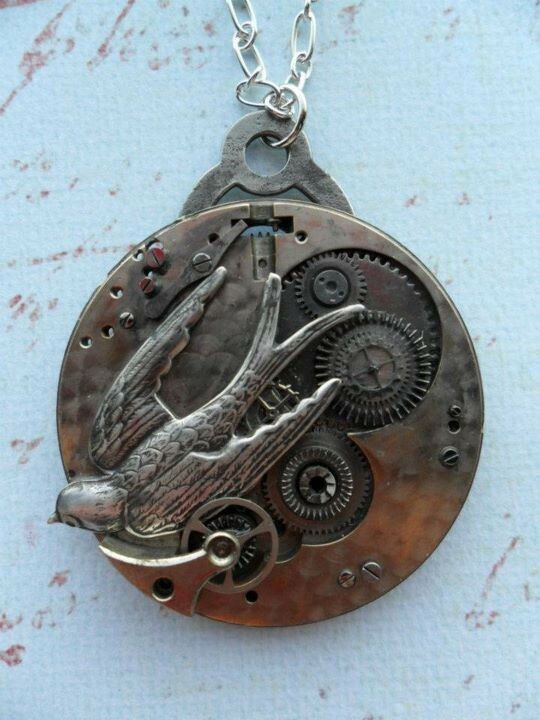 Steampunk Bijoux has captured that essence in small pieces of gearwork jewelry, combinding the art with the inner-workings of watches and other materials, combined with accessories and trinkets to add style to every piece for a small collectable (and sometimes functional) ornament. I got the chance to chat with designer Amy Karpowitz about her line of works, as well as her thoughts on local art and craft. 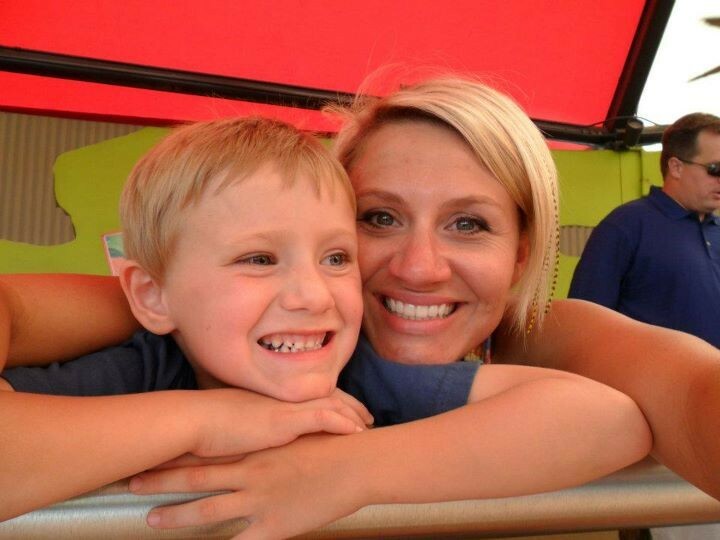 Amy: Well, first and foremost, I am a mother of an energetic, fun, and happy little five-year-old who always keeps me on my toes. I’m also a full-time student at the University of Utah studying health education and promotion working towards a Masters degree in nutrition. 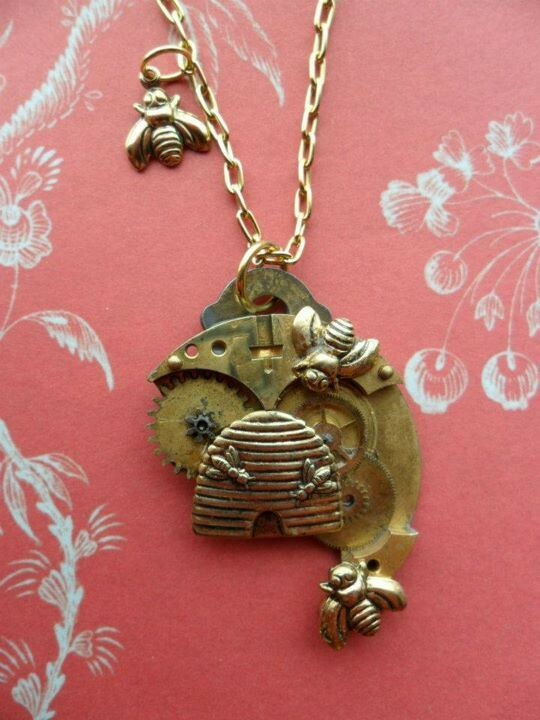 I work part-time downtown at Ahh Sushi, and in my “free time” I make steampunk jewelry and accessories. I am a very busy girl! Gavin: How did you first take an interest in jewelry and crafting, and what influenced you early on to create? 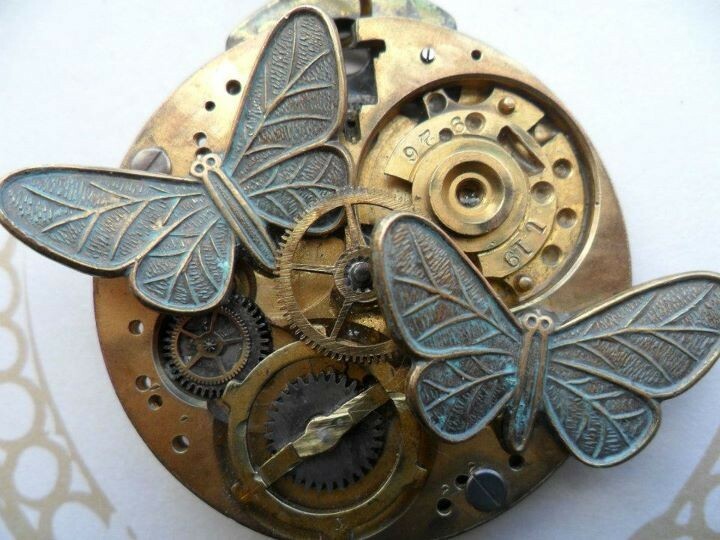 Amy: I stumbled across some steampunk pieces on Etsy and fell in love with the intricate mechanisms and tiny little gears. I remember putting “steampunk” into Google and being amazed at the images that came up; it was like opening a door to a crazy subculture I knew nothing about. I showed my boyfriend the jewelry and he encouraged me to make some pieces of my own. I started because I wanted to make some necklaces for my friends for Christmas last year, and I loved it so much and I had so much material left over I decided to make some more and open up shop on Etsy. 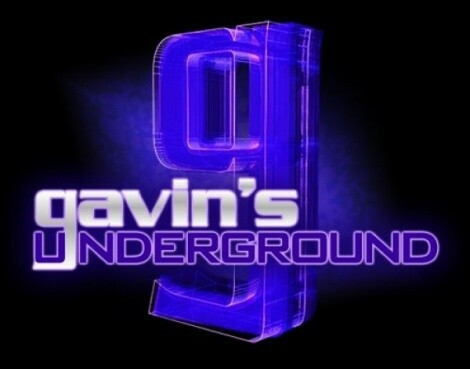 Gavin: Did you take any kind of formal training or attend college in arts, or were you completely self-taught? Amy: I am self-taught. I learned some important welding tips and basic metal working and I was on my way. Gavin: What first drew you toward steampunk as an artform and what kind of an impact did it have on you? 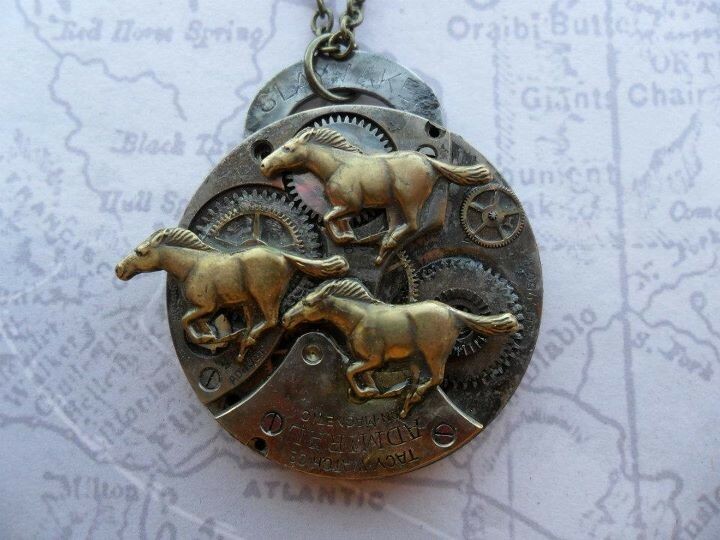 Amy: There are so many different, wonderful aspects of steampunk. 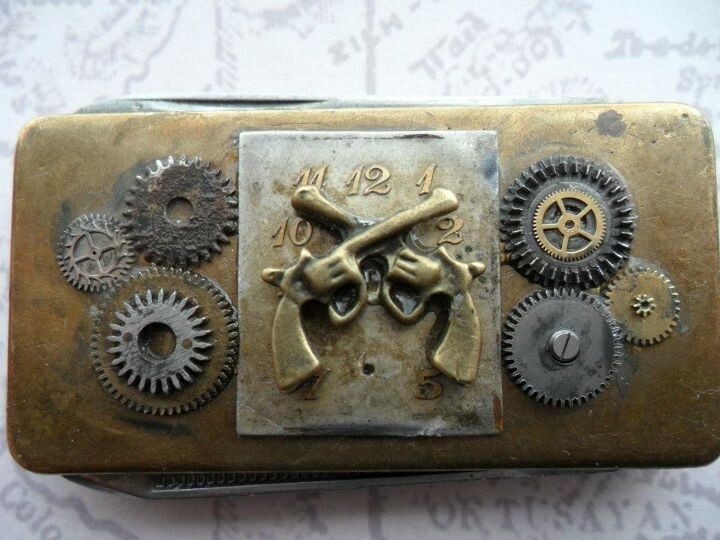 There is clothing, millenary, tools, technology, jewelry, furniture, art, design and then there are the different genres of steampunk: sci-fi, deiselpunk, western, cyberpunk, aristocratical, aeronautical, and gothic, to name a few. 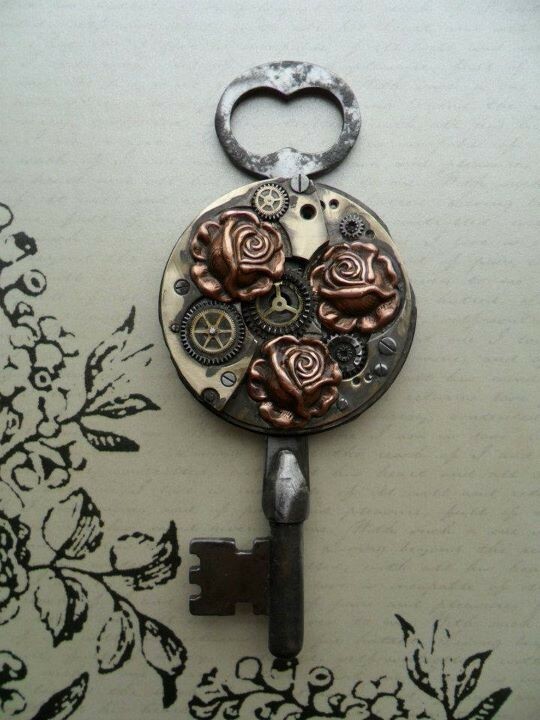 I love how creative steampunk is, and I love seeing the amazing things people come up with. I like how my jewelry is my own style and completely different from what other people are doing. I’m doing my thing and they’re doing theirs. Gavin: How did the idea come about for you to start making steampunk materials as a business? Amy: I had a hard time finding quality, authentic, jewelry pieces that were reasonably priced -- which is why I made my own for Christmas presents -- and from there I wanted to provide quality, authentic pieces made from real, antique watch movements that were reasonably priced. 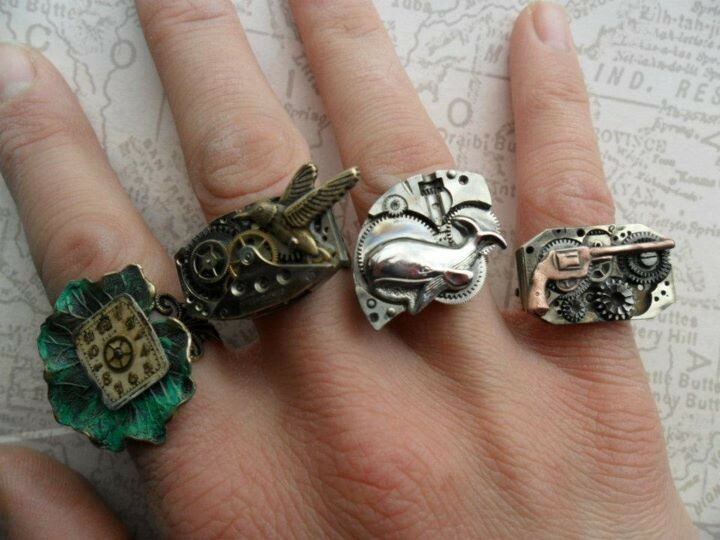 A lot of the steampunk jewelry I see on the retail market, to me, is astronomically overpriced. I think this is the inherent nature of the retail industry, to charge four-times more for a product than what it should cost the consumer. This is what I sell almost exclusively at Craft Sabbath and Etsy, because it keeps the cost to the customer low, and I don’t feel like I’m ripping them off. 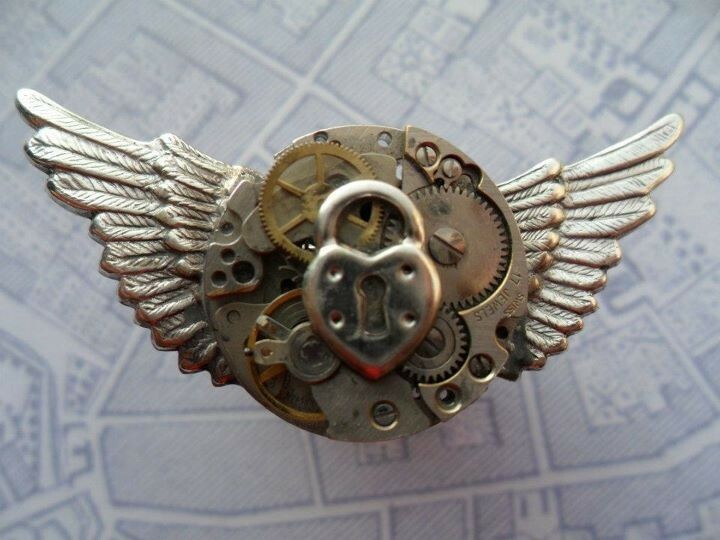 Gavin: What made you choose to do jewelry and clockworks, and where did the name Steampunk Bijoux come from? 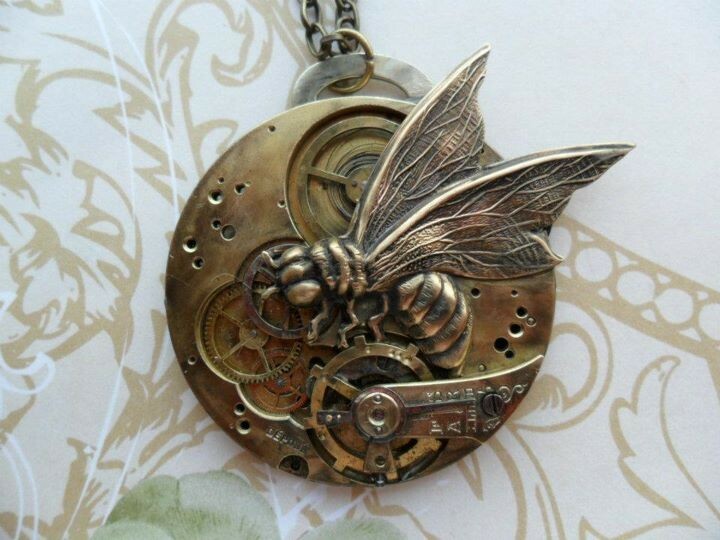 Amy: I just love the design of the mechanisms and how each and every one of them is interesting and unique.The name Steampunk Bijoux was a collaboration between me and my friend Kate. 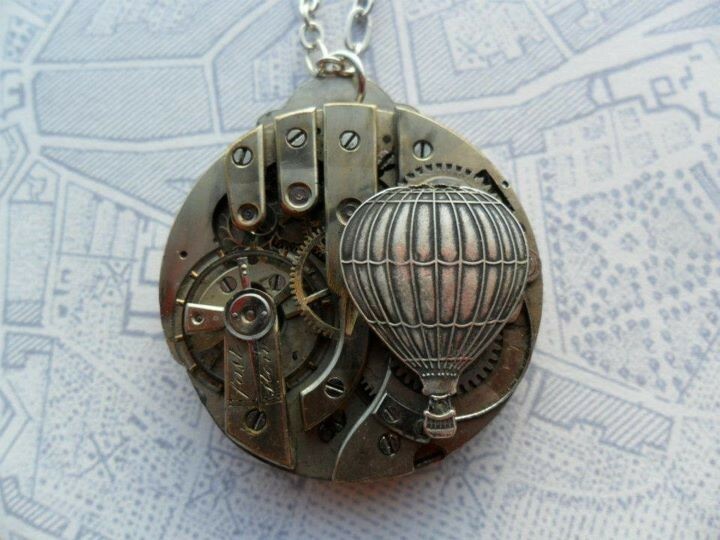 I wanted “Steampunk” in the name so it is easier to find on Etsy, and then I picked all my friends' brains for ideas. Kate told me Bijoux is French for jewelry, and Steampunk Bijoux was born. Gavin: How do you go about finding the watches and gearworks for your pieces, as well as the additional designs you implement into each one? Amy: Actually, the materials are getting a lot harder to find, and I think it’s only going to get worse. Recently, I’ve resorted to sending my boyfriend out with a safari helmet, sunglasses, and a metal detector to the white shores of the Great Salt Lake. This may be my best bet. Gavin: What's the process like for you when creating a new piece and deciding what to work with? Amy: I make everything in bunches and it’s about a three-day process. First, I set the different charms and such with the different watch movements to see what looks best with which, then I build them up or break them apart as needed. Next, I put them together and then clean them up with some polishing tool; that may be the worst part. Among other things, I use a carbon-steel brush that releases tiny metal splinters everywhere in my apartment. I am constantly finding them dug into my arms, hands, feet, legs -- they’re very painful. My five-year-old calls them “sparkles.” They seem to follow me everywhere, too -- camping, gym, you name it! Gavin: Do you ever find yourself changing things up while making one or do you try to stick to the idea you started with? Amy: I am constantly tweaking and changing my designs up to the very last second. Sometimes I go back and add things on after they’re finished. My work now is so much different than it was a year ago, so I will even add to older pieces to improve their design. Gavin: What was it like for you when you first started up the business and breaking out into the local craft scene? Amy: It was amazing. I never dreamed how much I would love it! Etsy was surprisingly easy to start up, and after a couple of months of building up my inventory I started doing Craft Sabbath. Meghann Griggs and Amelia and Kel Prime have done amazing things with Craft Sabbath and for the community. I had been going to Craft Sabbath since its beginnings four years ago, when it was held in art spaces and then coffee shops. I am so happy to be a part of it now. The artists and crafters at Craft Sabbath are continuously creating new and wonderful things. Every time I’m there, I am impressed with the creations I find. Gavin: What's the general reaction you've received from these works so far? Amy: So far, so good! I am always meeting new people that have received my pieces as presents and loved them, saw one somewhere and wanted one, too, and I have many repeat customers. I am so happy that other people love my jewelry as much as I do. Sometimes I even get a little sad when I sell one of my favorites, but at least I know they’re going to a new home. So far, the feedback I have received on Etsy has been great. Plus, my product is guaranteed! So if there is ever anything wrong, let me know and I’ll fix it right up for you! Gavin: While you do have a marketplace presence, a lot of your work is sold online via Etsy. What made you decide to sell your pieces online, and how do your sales compare between in person and the global steampunk audience? Amy: I decided to sell my pieces on Etsy because it makes it so easy and very affordable. It also links up to Facebook, so that has also been a great tool to market my items. I have gotten sales from all over the United States and from six different countries, which is always exciting! Not bad for my first year in business. Gavin: Do you have any plans to expand your art from what you're doing now, or are comfortable with the pieces you're currently creating? Amy: My work has already progressed so much. I love the pieces I create now, and I never know where the creative process will take me. I started making pendants only, now I make rings, key necklaces, tie clips, cuff links, earrings, money clips, brooches; who knows what’s next? Gavin: Moving on to local stuff, what are your thoughts on our craft scene, both good and bad? Amy: I think it is great and it will only get bigger and bigger. I’ve always been a local consumer, I like buying one-of-a-kind, handmade treasures that mean something to those who made them and to me, or those who receive them as gifts. Craft Sabbath is a great outlet for local artists, and I have really liked participating in other summer festivals, such as the 9th & 9th Festival and Craft Lake City, and other holiday shows. The turnout is great at all these events and I think people are really following the "buy local" movement. Amy: Word of mouth. I’m always telling people to come down to these events, not just for me, but for all the other amazing local artists. So when you hear about them, spread the word, invite your mother/sister/boyfriend/friend/brother. These events are a lot of fun and there is always something for everyone. Gavin: Who are some other artists and crafters you believe people should be checking out? Amy: I love Paper Wasp; I have a couple of their prints and I recommend them to everyone. I also love Peach Treats -- she just made me an awesome custom pair of earrings, love them! There is also a local artist, Alison, who has a shop named Alymuks on Etsy; I have a pair of her leather mukluks with faux fox fur that are sweet! And seriously, anyone at Craft Sabbath. I know I’ve been plugging them a ton, but I really think the artists/crafters there are amazing; I think I have something from about every single one of them. Gavin: Speaking of, what do you think of craft fairs like Craft Sabbath, Beehive Bazaar and Craft Lake City, and the work they do to promote the scene and artists? Amy: I think they are great and I wouldn’t be where I am without them. They are a great opportunity for crafters like me. It’s also my favorite way to do business. It’s fun to go out and meet the people buying my jewelry and seeing how much they enjoy my work. I hope to do more festivals next summer! Gavin: While we're on the topic, what are you thoughts on the local art scene and the work coming out of it at the moment? Amy: There is always something new and exciting, and the artists I have met have been great. I can’t wait to see what they come up with next. Gavin: What can we expect from you and Steampunk Bijoux over the rest of this year? Amy: I hope to come out with more new and exciting pieces and to continuously change it up. I like what I’m doing now, but who knows what will come next? It’s a brand-new year and I’m excited to see what it has in store. Amy: My Website. 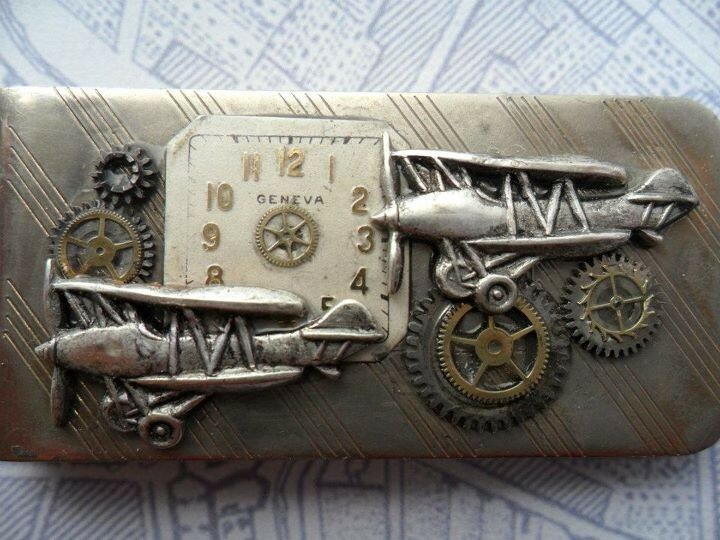 You can also find Steampunk Bijoux on Facebook, where I post new items and let you know what events are going on. I have some pieces at Zen Tattoo -- formally Underground Tattoo -- on 4500 South, just east of the freeway. Also, I will be at Craft Sabbath at the Main Library the first Sunday of every month from 1-5 p.m. as long as they will have me.